Barbara and Donald Ottosen started The Ottosen Family Foundation in 1995 after an incredibly difficult year for their family. Coming through the year and thankful for all they had, they felt they were in a position to share their good fortune and success with others in need in Arizona. The foundation’s mission statement initially was to improve the quality of life in the Arizona community, with an emphasis on women and children’s issues through education, health care, nature, and the arts. As the Foundation continued to grow and explore need areas within the state they progressed into a focus on the sciences, education, conservation, and sustainability, the arts, healthcare, and medical research. They strive to find organizations that will benefit and grow due to their involvement and are continuously learning more about the incredible people and non-profit opportunities within the state of Arizona. As Prima Circle level donors for many years, they have thoroughly enjoyed their involvement with Ballet Arizona. The Ottosens didn’t become actively involved until mutual friends encouraged them to attend a performance of Giselle as their guests. It was instant love and became a large focus for the both of them. 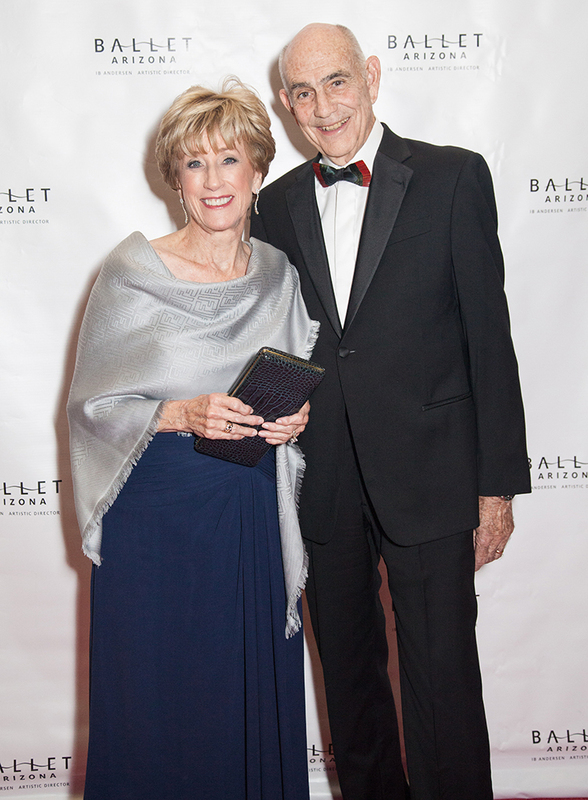 Barbara joined Ballet Arizona’s Board in 2013 to become more involved with the Ballet and assist in growing the support network and direction of membership. She immediately assumed a leadership role as the Chair of the Governance Committee and has worked with current and new board members to help create the incredible organization it has morphed into today. In addition to the other organizations they support, they are especially passionate about Desert Botanical Garden. Donald is a Trustee Emeritus and Barbara previously served on various committees at the Garden. Upon experiencing the mutual success of An Evening at Desert Botanical Garden, stemming from Ballet Arziona’s New Works Initiative, they felt their involvement in producing The Firebird would continue the growth of ballet patronage. For Barbara and Donald, seeing garden patrons who may not have had an affinity for ballet initially become ballet lovers was an opportunity to open so many new doors for Ballet Arizona. This contemporary style of ballet is what ultimately led them to produce The Firebird. In the nearly 20 years Ib Andersen has been with Ballet Arizona, they felt it was important for Ib to have the financial support and creative freedom to create new contemporary choreography for Ballet Arizona.